Mì-rùn mòr nam bitheòlach neo mì-thuigse neo-chionntach? 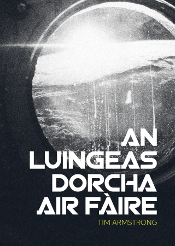 ’S e innleadair agus duine leth-shaibeirneatach a th’ ann an Steve Mann a chosgas speuclairean sònraichte coimpiùtaireach, agus is coltach gun do dh’fhuiling e eucoir-ghràin ann am Pairios nuair a bha e ag ithe le a theaghlach aig McDonalds agus air sgàth nan leasachaidhean-cuirp a th’ aige. 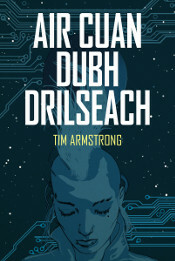 A rèir Mann, dh’iarr luchd-obrach McDonalds gun toireadh e na speuclairean dheth fhad ’s a bha e anns an taigh-bhìdh (chan eil e soilleir carson), agus nuair a mhìnich e gun robh na speuclairean ceangailte gu buan ri a chorp, thug an luchd-obrach ionnsaidh air, a’ feuchainn ri na speuclairean a reubadh far a chinn. 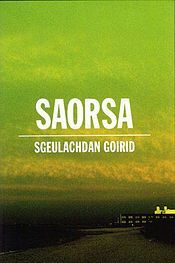 Gu h-ìoranta, a chionn ’s gun robh na speuclairean air agus a’ clàradh na thachair, tha dealbhan aig Mann dhen ionnsaidh air fad agus an eucoir a rinn muinntir McDonalds. Via Io9 agus reddit. Dealbh via wikipedia. 1 Response to Mì-rùn mòr nam bitheòlach neo mì-thuigse neo-chionntach?